Pewee Valley, KY - Denis George Littrell Sr., age 69, passed away on Monday, March 25, 2019. A native of Oldham County, he was born on October 5, 1949 in Louisville KY. Denis was a graduate of Trinity High School Class of ‘67’. He served in the U.S Army in the 100 th Division Reserves, was a respected mechanical engineer, holding several U.S. Patents, and an avid automobile enthusiast. He loved all things mechanical and automotive. He was a member of the British Sports Car Club, Jaguar Club, and a parishioner of St. Aloysius Catholic Church. Denis was a beloved husband, father, grandfather and great grandfather. He will be forever remembered by many as “Papa”. He was preceded in death by his parents George E. Littrell and Anne Littrell (Worland) and brother, Michael G. Littrell Sr. 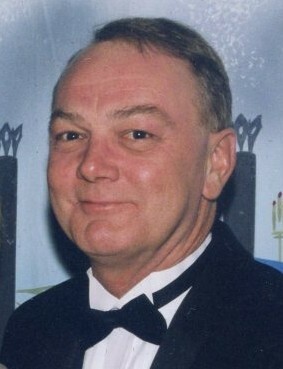 Survivors include his loving wife of 50 years, Mary Alice Littrell (Rogers); one daughter, Denise M. Pope (Tom); two sons, Denis G. Littrell Jr. (Alix) and Brian G. Littrell; seven grandchildren Trey (Jessica), Trenton, Chelsea, Parker, Alexis, Paige, Alexander; 1 great-grandchild Sebastian, one brother Patrick G. Littrell (Donna) of Charlotte NC; two brother-in-law’s Ray Rogers (Diane) of Florida and Eddie Rogers of Campbellsville, KY and numerous nieces, nephews, and cousins. A mass of Christian Burial will be celebrated at 11 AM, Friday March 29, 2019 at St. Aloysius Catholic Church 212 Mt Mercy Drive, Pewee Valley, KY 40056. Burial will follow at St. Aloysius Cemetery where military rights will be conducted. Visitation is at 3-8 PM Thursday March 28, 2019 at Stoess Funeral Home 6534 West Highway 22 Crestwood, KY 40014.